You have a great business idea and want to start trading immediately. However, before you do, make sure that you know the advantages and disadvantages of trading under the different business forms whether as a sole proprietor, partnership, close corporation, trust or private company. Ensure you know how income tax laws will affect each business form. Tax rates differ for the different forms and special tax allowance and rates are available to certain business forms. We reserve your proposed name and register your business in the shortest possible time at very affordable prices. We do all statutory registrations – Income Tax, Vat, PAYE, WCA and UIF. We charge an affordable flat fee to do all these registrations or if you prefer, can do any one of these registrations. Your growth and success as a client is very important to us. If you grow, we grow – if you fail, we lose a client. We therefore try our best to make you succeed. 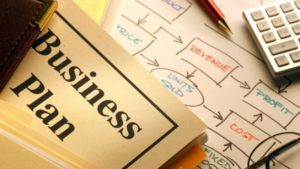 Advise you what the best business structure to use is, after taking your specific requirements, tax laws, legal exposure and specific requirements into account. We will evaluate whether there is a possibility that you may qualify as a small business corporation with its’ many tax benefits and advise you what steps should be taken to comply and what pitfalls to avoid. Determining monthly cashflow requirements. The management of cashflow is very important for any new business. You need billing and collection procedure in place to ensure you receive the money in the bank as quickly as possible. 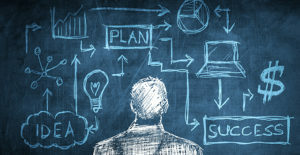 Implement proper document flow and systems for your business. Having proper systems in place will save you a tremendous amount of time and energy. It eliminates a lot of unproductive time. Assisting with loan applications to banks by preparing budgets, cashflow forecast etc. Please let us help you get your business off to a solid start. Start right and give us a call.